NORTH AMERICA TO RUSSIA ON 47GHZ EME! I'd like to claim what should be a new world DX record for the 134GHz band as well as a possible "first-on-band" for the USA. This QSO was between myself operating as W2SZ/4 and W4WWQ/4. with a Cassegrain feed and a dual-mode horn. Receive function uses a sub-harmonic mixer. Both TX and RX functions get their LO power from a phase locked 69GHz Gunn source. The Gunn signal is frequency doubled when in TX mode.The operating mode was FSK-CW. The RX IF radio was an ICOM R-7000 on both ends. I'd like to thank Geep, WA4RTS for helping Pete, W4WWQ during the QSO. NOTE: As of last year, the 134GHz band has replaced the former 145GHz Amateur band. The 145GHz allocation has been removed from the Amateur Radio Service world wide, with the USA being the last country to make the change. 47GHz World Record Broken again, just a few weeks since the last one! North of Los Angeles. AD6FP operated from Pilot Peak DM07BS near the northern entrance to Yosemite. The path is near line-of-sight with an obstructing peak about 20km south of Pilot Peak. Signal levels were easy copy with some slow fading, 30+dB margin on the Frazier end and 6+ db on the Pilot end. AA6IW had another 47GHz radio on the Frazier end with W6QI but due to local oscillator problems was not able to participate in the record breaking contact. N2MJI accompanied AD6FP to the Pilot end and assisted in the navigation to the site and the radio setup which were both done after sunset thanks to a flat tire on the way to Pilot. It took several hours to finally make the QSO due to problems at both ends: failing power inverter, failing local oscillator, aiming in the dark etc. QSOs were also completed on 10 and 24GHz with very strong signal levels and 10GHz was used as the liaison frequency. To assist aiming W6QI played back his 47GHz audio to AD6FP over the 10GHz liaison allowing AD6FP to do the final peaking of the dish. Signal margins indicate longer paths are possible but further attempts will have to wait for spring . ones" is known to us all. Bill was Vice President for Engineering of Microcube Corp. in Leesburg VA. He is survived by his wife Kathy, his son Billy, and his daughter Kristine. Activity Days, and gently enforcing good operating practice by example! the last dB out of a project! information, and even equipment with anyone who would ask. technical visits so he could appropriately attend to family matters. anywhere he was needed in an emergency. 73 Bill-I'm certain your new rover is the best one yet! Mountain DM04MS north of Los Angeles. AD6FP operated from Devil Peak DM07DM just south of Yosemite. Signal margins were >40dB on the W6QI end and about 8dB on the AD6FP end. The weather conditions were sunny, clear, warm, and dry at both locations. An earlier attempt was made from Mt. Frazier to Mt. Oso(375km path) at 0600 on Saturday morning with no results. However, after successful completion of a 170km QSO between Frazier and the valley floor (DM06AB) on Saturday evening, it was decided to try Devil Peak onSunday. All microwavers will be saddened at the news of the passing of Des Clift, VK5ZO, on the 6th June2005. I've just heard the news via Des's long time microwave pal, Lyle Patison, VK6ALU (formerlyVK2ALU) and also directly from Dess wife Marjorie. He died in an Adelaide hospital in South Australia, following a heart attack. I believe he was just into his eighties. Des was an amateur microwave pioneer, making the very first 10GHz contacts in the UK during the late 1940s/early 50s when he was G3BAK. By that time there were a few UK amateurs taking an interest in microwaves. Two of them, Des and G3LZ, began experimenting in 1949 and, in January 1950, were rewarded with the first UK two-way contact on the 10GHz band. Des eventually moved to Australia where he carried on his microwave activities, mainly on the 5.6GHz band, first as VK2AHC in New South Wales and later as VK5ZO in South Australia. His 10GHz equipment for that 1950 contact with G3LZ consisted of a mains powered klystron transmitter/receiver and the path was just a "few miles" (actually about 1.75 miles) across the Manchester Ship Canal in North West England. Of just as much interest was his use of 70cm for talkback. At that time, even the 432MHz band was for radio pioneers! In the past couple of years I have had the pleasure of keeping in touch with Des over the internet Echolink system. Des did not have HF facilities and this most useful internet resource enabled him to chat to microwave friends around Australia and overseas. I never actually met him but our Echolink chats, letters and emails made me feel I had known him as a true friend for a very long time.I know everyone will join with me in passing their condolences to his wife Marjorie and the family. I'm really sorry to hear of the passing of Des. I was fortunate to visit with Des and Marjorie twice in the last few years, the last time being in February of 2004. He was a fine gentleman who always had time to talk and explain and who was, when I visited him in 2004, re-building his 3cm gear. As G3BAK, Des published many fine articles including a 70cm converter. It used the well known two-stage Butler oscillator! This was in the 1960's, when the converter design was well ahead of its time. I will miss not being able to visit him again. Rest well, friend. I am saddened to hear of Des's passing. I live in Mt Barker where he resided and spent some time over the last 15 years or so helping make loop yagis and being fascinated by all the experimenting he carried out. klystrons) not 20 miles away from my present QTH (see the now defunct RSGB Microwave Manual, Volume 3, Chapter 18) in 1949 - thats some record of achievement! Vale. Rest in Peace, knowing that you've achieved much! 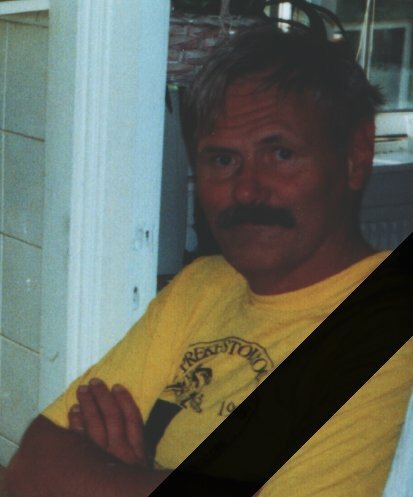 After being missing for about one week, Jan-Martin Nøding, LA8AK, was found dead on Wednesday 27th April 2005. He died from a heart attack on a walking trip in an area near his home near Kristiansand, Norway. He was in his fifties. There cannot be many radio amateurs, especially in the VHF/UHF/SHF field that have not heard of Jan-Martin, LA8AK. A prolific writer and experimenter, he published his findings and ideas world-wide and particularly on his website: www.agder.net/la8ak/index1.htm which is still in operation as this report is being put together. Ian White, G3SEK, comments, Amateur radio has lost its genuine Norse Giant. Jan-Martin was a man of huge stature, with an engineering talent to match. FIRST TWO WAY QSOs ON 47GHz EME FROM RUSSIA TO NORTH AMERICA! 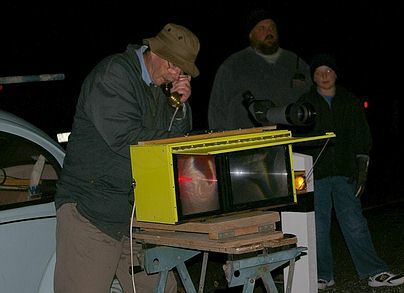 April 16, 2005 - Announcement of the first two way QSOs via the moon on 47GHz. The team of RW3BP, AD6FP, W5LUA, and VE4MA would like to announce that The first 47GHz contacts via the moon have been completed. As you may recall, RW3BP heard the first lunar echoes on 47GHz back in August of 2004. At that time he was heard by AD6FP, W5LUA, VE4MA and VE7CLD. Since the receipt of the first 47GHz echoes via the moon, numerous tests between RW3BP and AD6FP led to improvements by RW3BP, allowing him to copy calls from the lower power signal of AD6FP in January of 2005. As of April 16, 2005 the team of AD6FP, W5LUA and VE4MA have each completed a CW QSO via the moon with RW3BP. were used. Noise figures of all stations are in the 3.5 to 4.7dB range. Since the doppler shift can be as much as 100 + kHz at 47GHz, one must continuously adjust the receive frequency to keep the station centered in the passband. Precision frequency control was obtained by using GPS controlled,Rubidium locked, or TV sync controlled phase locked local oscillators. Various techniques were in use to keep the Doppler shifted frequency in the passband of the receivers. Webmaster's note: A fantastic achievement! Our congratulations go to everyone involved in this historic series of contacts.All this puts my meagre 22 milliwatts of 47GHz into perspective! Please note that this expedition does NOT coincide with any organised UK activity day or contest. Please support Dom's efforts by being active on those three days. did it without the uage of laser sources! fresnel's rather fuzzy prime focus area without increasing beam dispersal excessively. Aiming is via rifle sights, and the optical unit operates by bonding two co-lined fresnels to a single protective cover-glass sheet. Full duplex operation is provided. We'd welcome any correspondence on the subject...! Chris Long (for Mike VK7MJ, Joe VK7JG and Jason Reilly VK7ZJA). of Spectran software, we were able brave the cold night air and better our World DX record to 114km. Wind chill: -28C (-18F) <--- !!!! chemical/air-activated hand warmers in my shoes. They worked very well. No more cold toes!